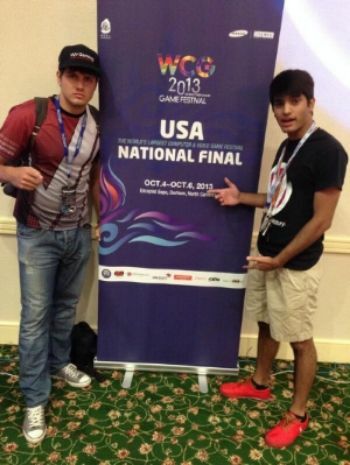 vVv Gaming takes the and for the WCG USA National FIFA 13 tournament. vVv Aman takes 1st place taking down vVv Michs09 in the Finals. vVv Aman made it all the way to the finals through the winners bracket sending vVv Michs09 down to the Losers Bracket to fight his way back to the finals. vVv Michs09 had to defeat Mike Romero in the Losers Bracket final to get a shot to play Aman for the spot on Team USA. vVv Michs09 won 2-0, both matches coming down to Penalty Kicks to decide the victor. The Finals were a site to behold, back and fourth Mike and Aman fought. Both were able to score clutch goals when they needed to. Back and forth they went. 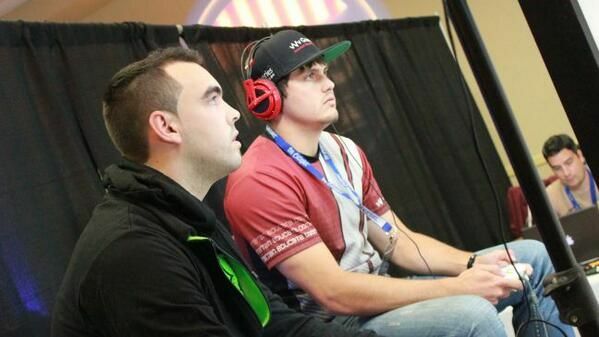 Mike had to win two best of three matches against Aman to take the title because of coming out of the Losers Bracket. Mike ended up winning the first series 2-1 forcing another best of three with the winner taking the title. After 2 close games Aman takes the second series 2-0 and with that the chance to be on Team USA and compete in Kunshan, China for the WCG World Championship. vVv is so proud of both vVv Aman and vVv Michs09 for their performance this weekend and we look forward to their promising future in FIFA 14! Congratz to both of you! You guys brought it home for vVv! Couldn't be anymore proud of you both! Congrats to them and vVv! Awesome showing there. Watching you guys play was awesome and amazing. An Inspiration. I loved how fun y'all had together! Congrats to you both! Aman good luck in China. Congrats to Aman, Michs, and vVv for a great showing! Way to represent! vVv going to China! Worldwide representation let's go! Michs09 was such a tough opponent. I couldn't have asked for a better match up in the final! Glad I came out with the victory, but Michs09 def deserves a round of a applause. Congrats to you both!!! Keep up the great work!!! Congrats to both of you and amazing job representing vVv..
amazing is all I can say, congratulations to both of you and best of luck in china! Hell yea! Great games and a hell of a job by both Mike and Aman representing the v's Best of Luck in China! Awesome job guys. I'm sure it was a tough and fun battle. Great Job both of you. Got to watch you guys on stream. Really great matches! Too bad only one of you gets to go to China though. Still great job to the both of you! If you don't enjoy what you're doing.. then why do it?? We will do our best to rep the organization always..
Great job, both of you! And good luck, Aman!